…and since the men’s latrine wasn’t locked, I was able to see this restroom-based view of the church. It’s become one of my favorite images from my day of touring painted churches. 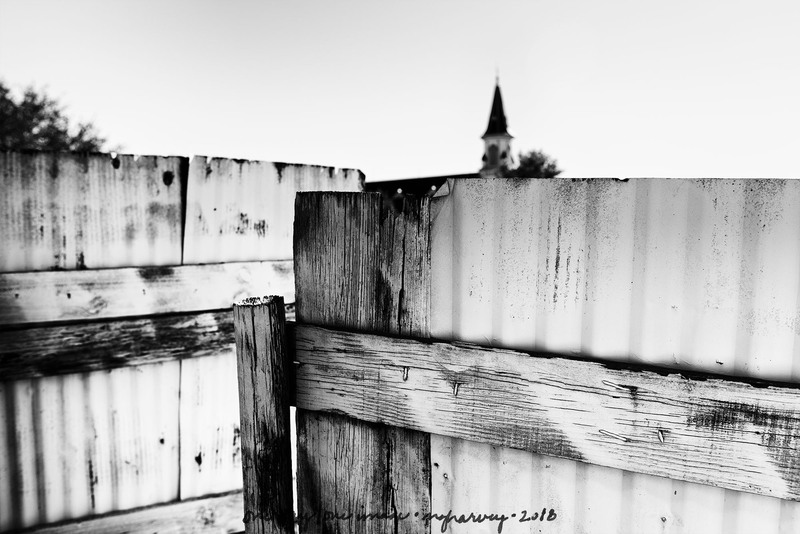 Posted on February 18, 2018, in Photography and tagged 365 photo project, architecture, black and white photography, church, Dubina, Dubina Texas, learning to see, melinda green harvey, monochrome, one day one image, painted churches, photo a day, photography, postaday, road trip, Saints Cyril and Methodius Catholic Church, texas, thoughtful seeing, travel photography. Bookmark the permalink. 4 Comments. I’m glad you enjoyed it. I’m going back to see some other painted churches next weekend, so sometime in March there’ll be more in the series. Is there a painted outhouse tour in your future? Well, I never really thought about it. Until now!